Your guide to dealing with the allergy season, the natural way! 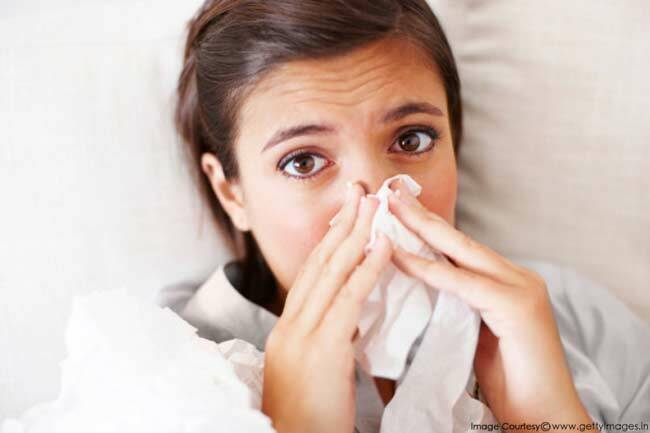 The changing weather brings with it an allergic trap of sneezing, runny nose and a weak immune system. And as soon as that wave hits us, we reach for our medicine cabinet for a quick fix. Why not opt for a natural way instead? Here’s what nutritionists Tripti Tandon and Tapasya Mundhra recommend you do to boost your immunity during this season. At times, the balance between good and bad bacteria gets disrupted in our gut, and this weakens our immunity. To restore the balance, you need probiotics. According to experts, probiotics have both anti-inflammatory and anti-allergic effects, which helps combat symptoms of allergic rhinitis and asthma. Sources of probiotics are yoghurt, sauerkraut and kimchi. Allergies mean dealing with a congested nose. Spices such as cayenne pepper, ginger and garlic help clear the nasal passage. These spices contain a chemical compound called capsaicin, which is known to break up the congestion, and is effective for relieving cluster headaches, and sinus headaches. Allergic symptoms such as hives, itchiness are caused by the histamines, which are released by the body to deal with allergens. To deal with these symptoms, you need vitamin C in your body, as it helps to reduce the histamine levels in the body. It is also an antioxidant, which means that it counteracts the inflammatory effects of free radicals in the body. Oranges, strawberry, cabbage etc are good sources of vitamin C.
Quercetin is a compound that acts as a mast-cell stabilizer. Mast cells are the one responsible for pumping histamines in your body when your body reacts to allergens. By stabilising mast cells, quercetin provides relief from allergic symptoms. Consume onions, apple, tea and cabbage for a dose of quercetin.